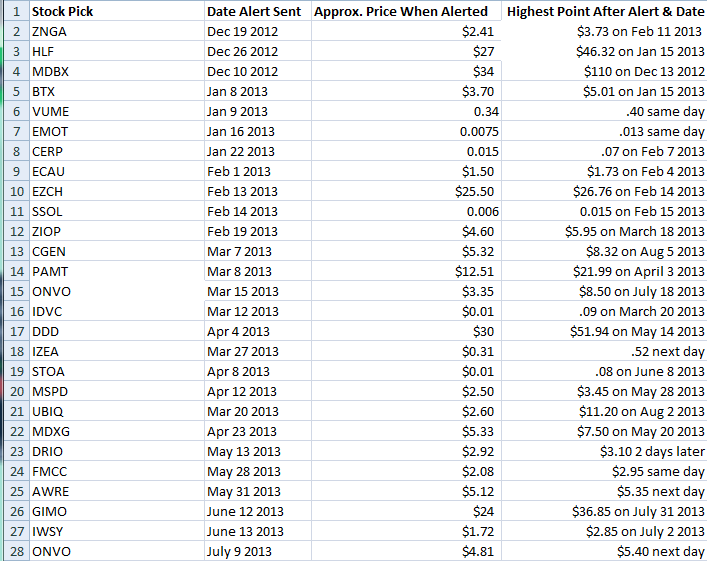 at the highest price after the alert. This is simply meant to show that there is the potential for gains that can be substantial. and no one without money they can afford to lose should try their hand at it. If you want to join MM, click here.